A package of 10 pcs. costs 1334 USD. 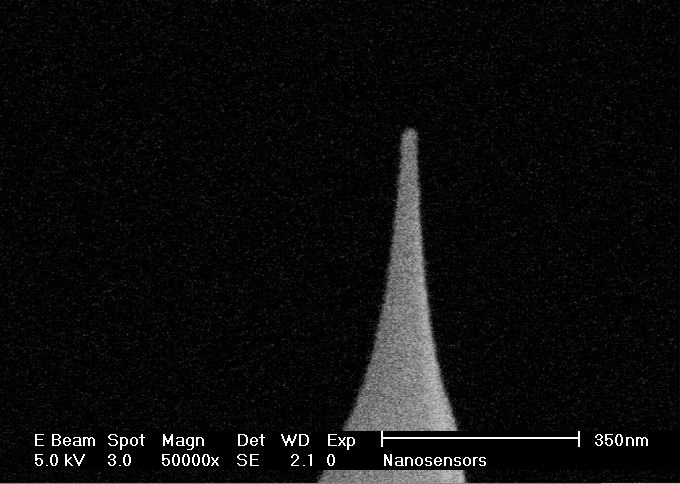 The NANOSENSORS™ SSS-QMFMR AFM probe combines the high resolution performance of the SuperSharpSilicon™ magnetic force microscopy probe with the high mechanical quality factor under ultra high vacuum conditions of the Q30K-Plus-Series. 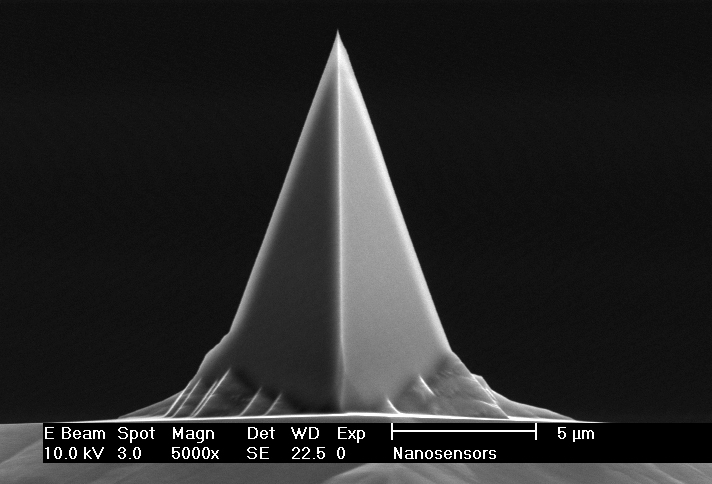 An extremely small radius of the coated tip, a high aspect ratio at the last few hundred nanometers of the tip and a Q-factor of more than 35,000 facilitates outstanding lateral resolution in the magnetic force image and high operation stability under UHV conditions. 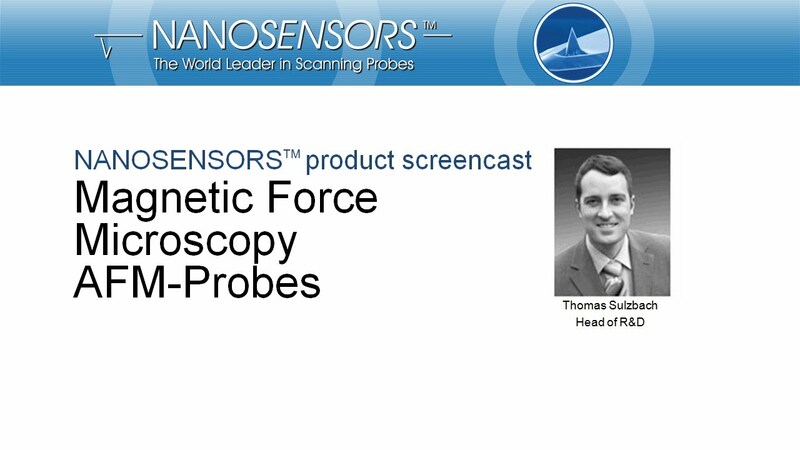 Due to the low magnetic moment of the tip the sensitivity to magnetic forces is decreased if compared to standard MFM probe but the disturbance of soft magnetic samples is also reduced.